Tungnath is highest Hindu pilgrim Temple in the world and one of the pach kedar temple. Tungnath temple is situated in the height of above 12000ft in Rundraprayag district of Uttarakhand and is dedicated to lord Shiva. Myth story about Tungnath– History of Tungnath temple was started with history of kedarnath temple.while the Pandavas brothers seeking lord Shiva for freedom from sin of killing their own kin during the Kurukshetra war. When Pandawas brother caught lord Shiva in the form of bull under the swamp soil, lord Shiva gave appearance to Pandavas in the form of bull hump. 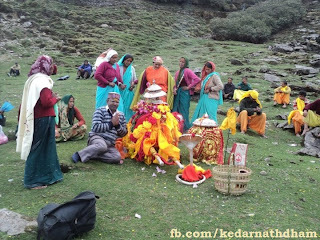 after that the different part of lord Shiva body worshiped in different area of Kedarnath valley. Arms worshiped in Tungnath temple. Tungnath meaning –Tung is a Sanskrit name which also means arms and Nath word present to lord Shiva. since this place worshiped and dedicated to lord Shiva in the form of arm of lord Shiva hence this places is known as Tungnath. 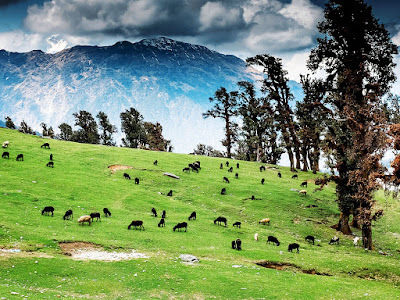 There are two road way to reach Tungnath from New Delhi, Rishikesh or Haridwar.Most of people went to Tungnath during char dham yatra in Uttarakhand. at same time some people go at Tungnath via Guptakashi-Kund-Ukhimath-Chopta route and others go to via Badrinath- Gopeshwar-Mandal route. but is it depend of tourist if they are going on char dham yatra tour. 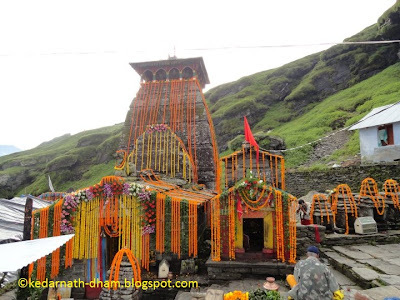 it is believed that everyone visit first Kedarnath then Badrinath. in this case, it you are planning to visit Kedarnath first then it is suitable to visit Tungnath via Guptakashi-Kund-Ukhimath-Chopta. but if you are planned to visit Badrinath first then it is suitable to visit Tungnath via Badrinath-Gopeshwar-Mandal route. but the route via Guptakashi-Kund-Ukhimath-Chopta is small and traffic free rather than second route. Distance between Delhi to Chopta is approx 450 km. After reaching atChopta it is 5 km vertical zigzag foot trek to Tungnath Temple. it is in altitude of above 14000 ft – highest ever tourist place in world. i hope you will go here next time. Copyright © 2019 Kedarnath Dham. All rights reserved.